Welcome to Drivestar Store. 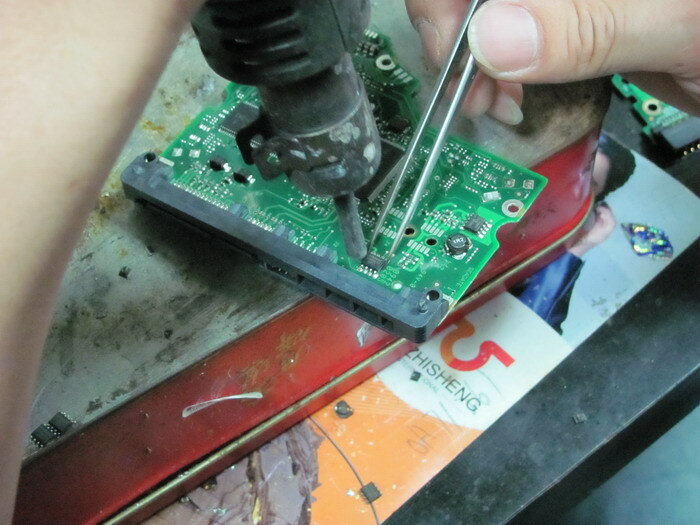 Located in Shenzhen China, we supply hdd pcb, hdd tools, bga tools and some other spares and tools. 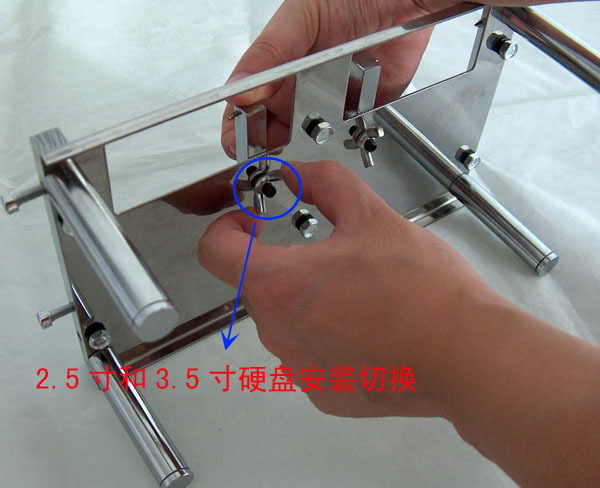 We will do our best to meet your requirements, please feel free to contact us if you have any questions. 1. If you are a new customer, please register first. Or if you have a PayPal account, you may purchase directly and no need to register. 2. 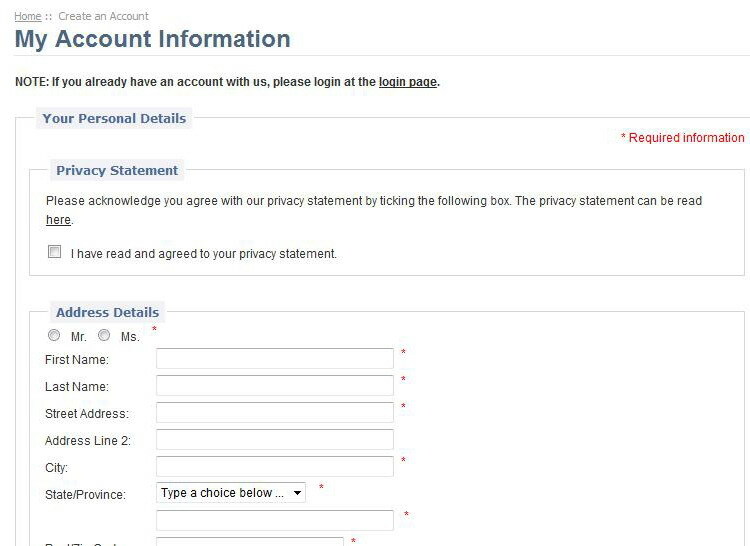 Create your account and write the personal details. 3. 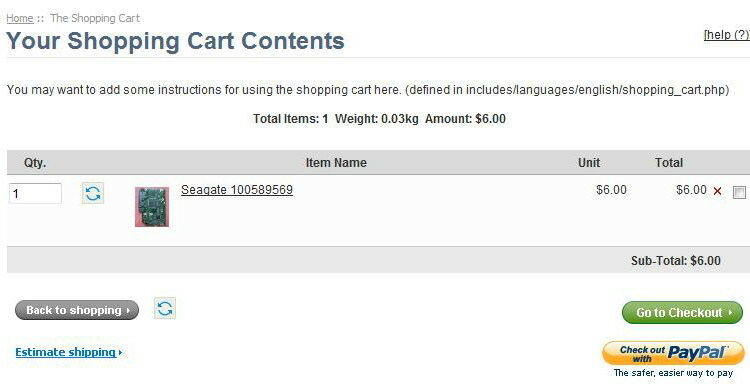 After create your account, you may login in and add the items to the shopping cart. 4. 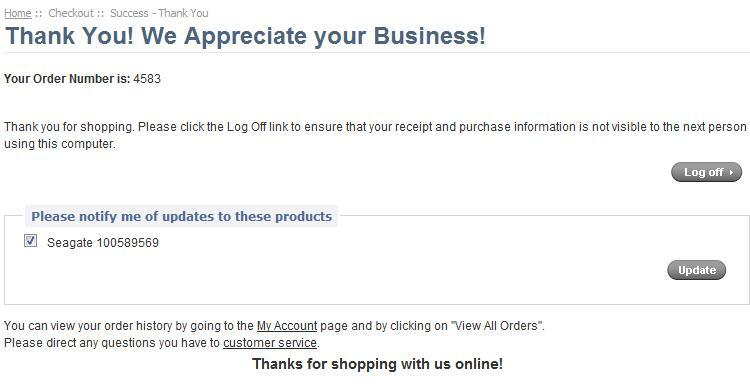 Check your shopping cart, if no more to add please go to checkout. 5. 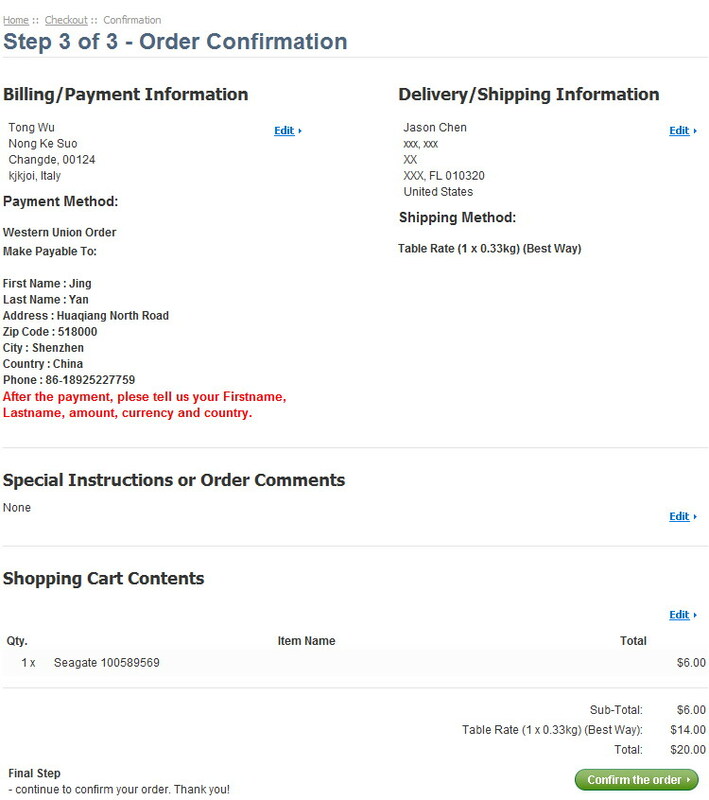 Check the shipping information and choose the shipping method, for more details please read shipping & returns. 6. Write any comments about your order. 7. Choose the payment method, we accept PayPal, Western Union and Wire Transfer. 8. 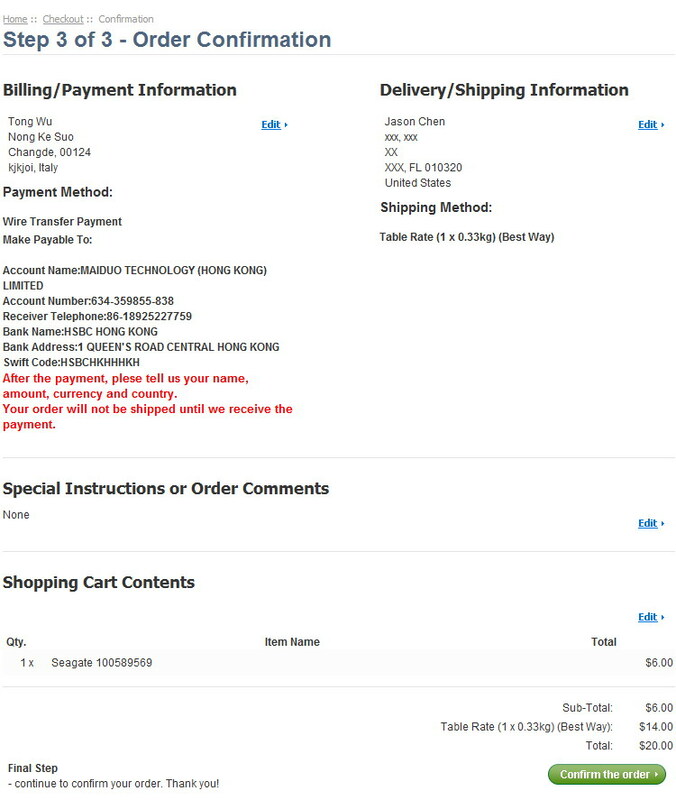 If choose to pay via PayPal, please check everything is right and confirm the order. 9. 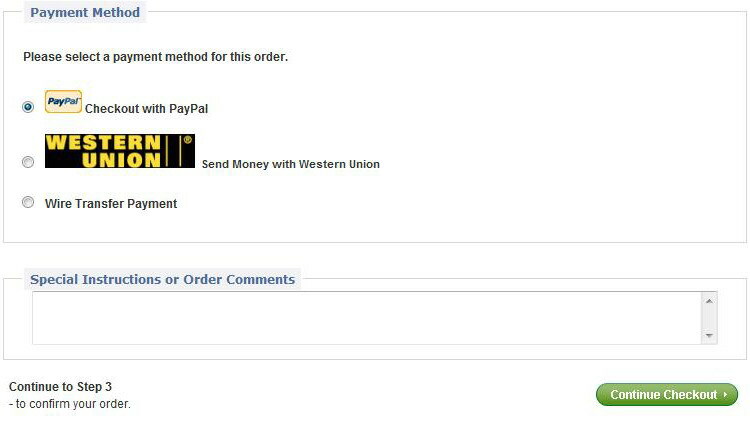 If choose to pay via Western Union, check the information and confirm the order. 10. If choose to pay via Wire Transfer, check the information and confirm the order. 11. 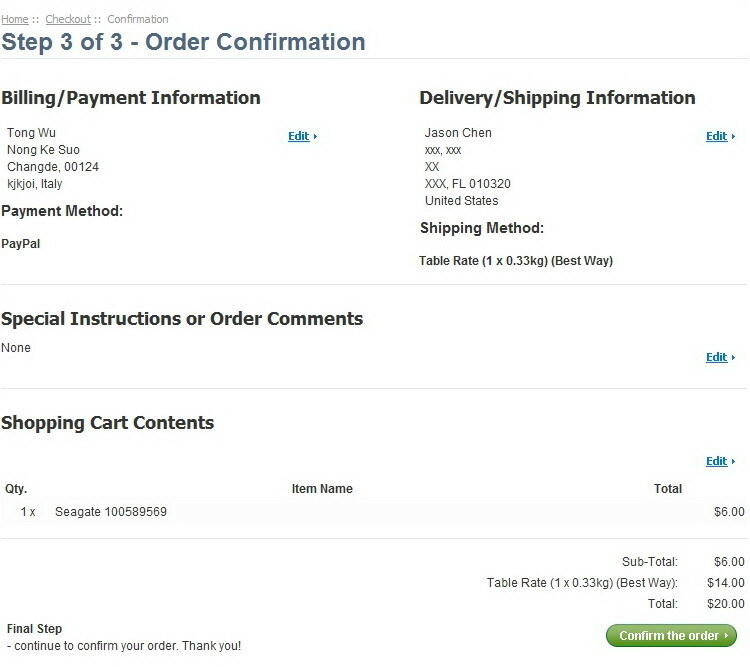 You will have an order number and receive a email of order confirmation. 12. You may know the order status in your account. 13. We will ship the order as soon as possible and update the order status. 14. If you don't receive the parcel in time, please feel free to tell us. 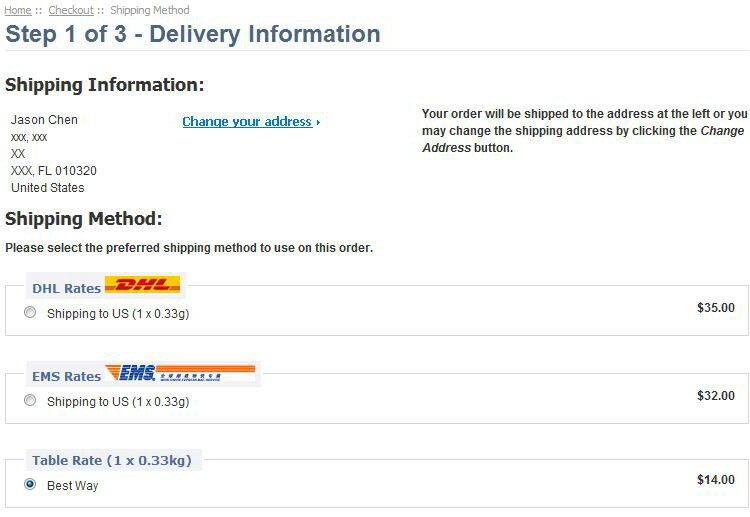 We will check the shipping company and let you know the status. If the parcel lost or damaged, we will resend or refund the value. Sometimes the air mail is delayed and takes more time to receive, hope you understand that. 15. 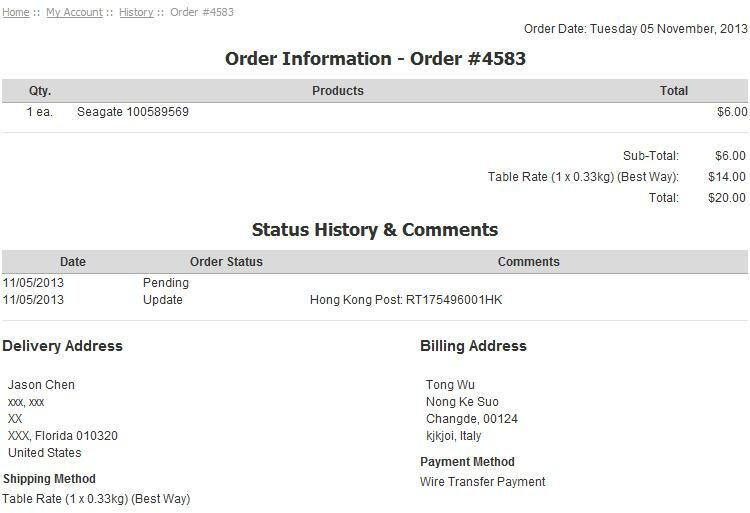 If the order value is more than US$100, please send a list of order to drivestar@foxmail.com or jenny@drivestar.biz, we will make an invoice with the best price. If you need any items that not listed in drivestar store, please feel free to contact us. 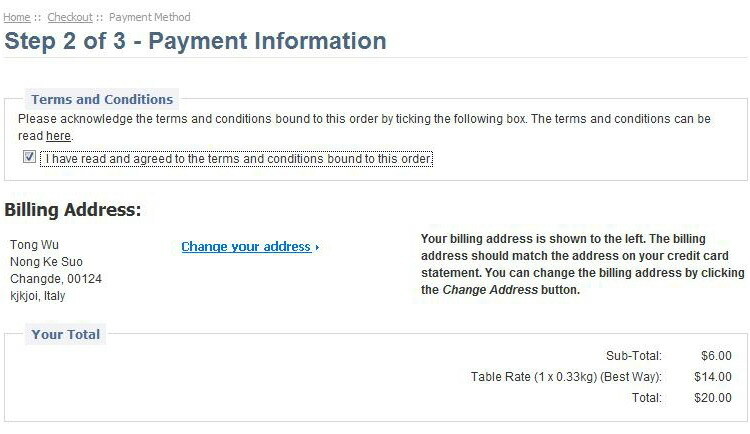 For PayPal charges a fixed rate for each transaction, we would add 3.8% cost for it. 16. If want to be our reseller, you will get the full support and the most competitive prices. 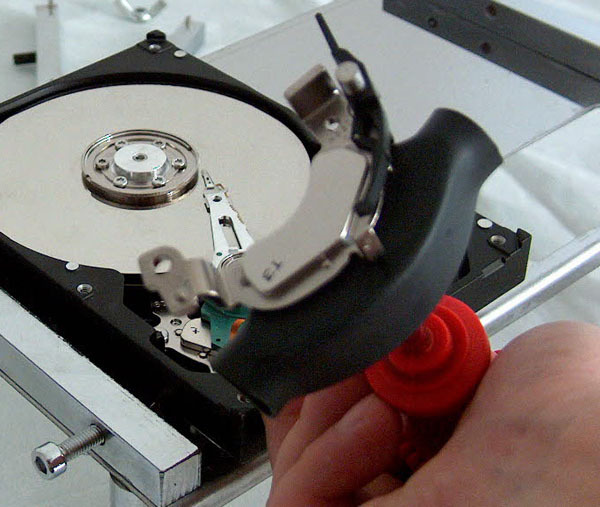 HD HPE PRO: A Must-Have hardware level of disk repair and data recovery equipment, which enables you an easy and exact drive disassembling and HEAD stack/Platter exchange. 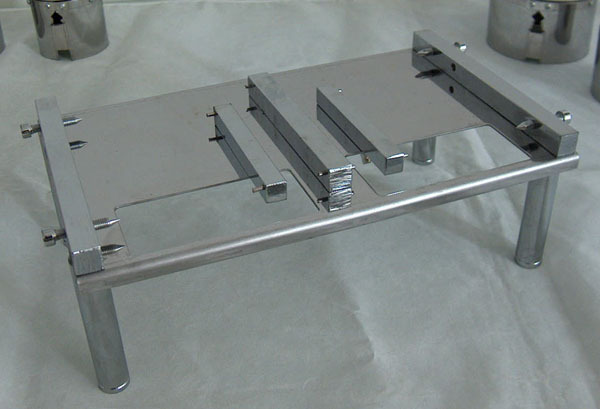 Main Features: Easy to use; Universal-fit workbench; Pioneer platter exchanger; change multiple platters without moving the platters out of alignment with each other; Special Actuator Remover with strong magnetism works(removal, installation) easily on the upper magnet of the actuator. 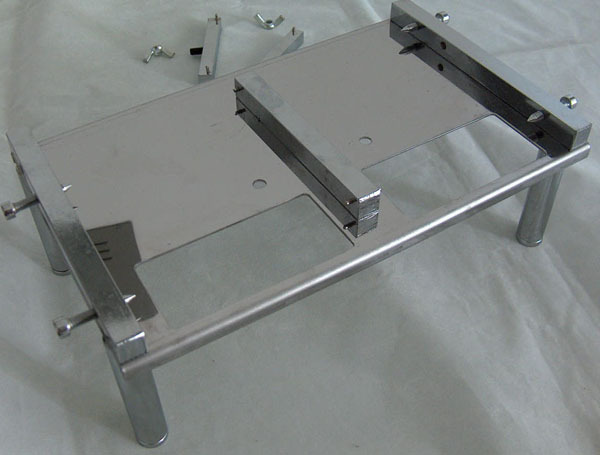 Universal-fit workbench assures you to operate on your HD on a relatively stable table, making your job easier and more reliable. 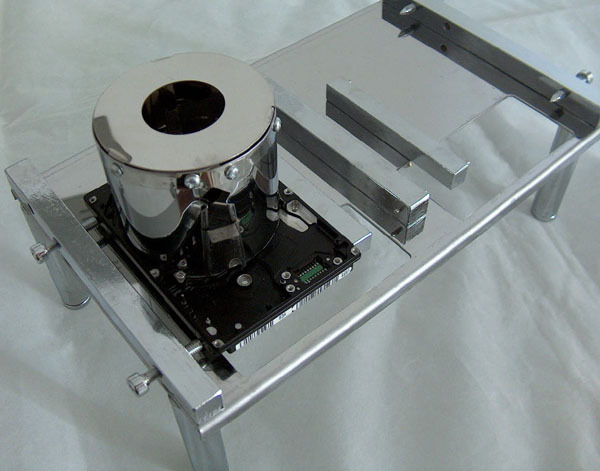 Pioneer platter exchanger maintains the original cylinder status by removing and placing each platter of the multiple platters together, so that allows you to change multiple platters without moving the platters out of alignment with each other which otherwise will result in data corruption. 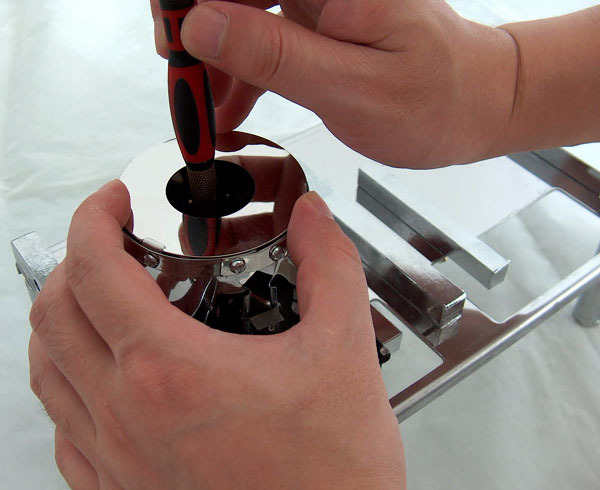 Special Actuator Remover assures you to perform easy operation (removal, installation) on the upper magnet of the actuator which is very hard to be removed and put back because of its strong magnetism and it’s sensitive and embarrassed position (being very close to both the Head Stack and Media Platter), in case it slips out and touch either of its fragile neighbors during the operations — the consequences will be a disaster. WARNING IF YOU CHANGE A PRINTED CIRCUIT BOARD WITH A NON MATCHING PCB... 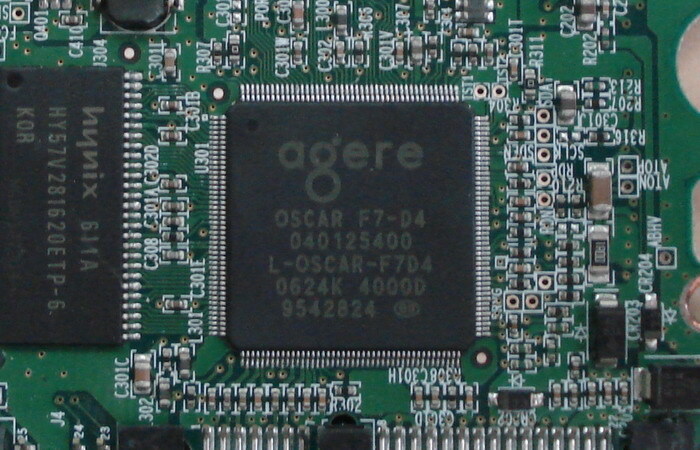 SUCH AS DIFFERENT FIRMWARE, LAYOUT, OR MICRO CONTROLLER NUMBERS, YOU WILL RUN A HIGH RISK OF FAILURE AND FURTHER DAMAGE! 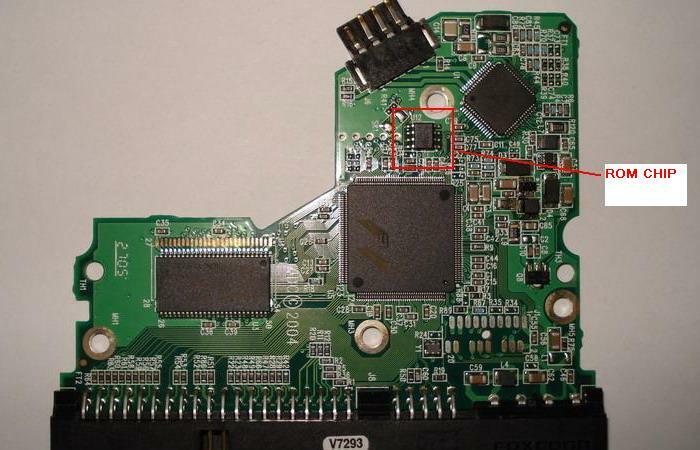 If you have an exact match to the PCB you want to attempt swapping, the risk will be minimal but what allot of people don’t realize, is that code can change overtime even with exact matching parts. What this means is... if you were to purchase two NEW exact hard drives at the same time from the same batch and then swapped there PCB's to each other, you would most likely be successful! There's a high chance that each PCB has made themselves unique to each drive! Now this new reconfigured information is unique to the drive, and can cause this PCB to be incompatible with any other drive of matching numbers. 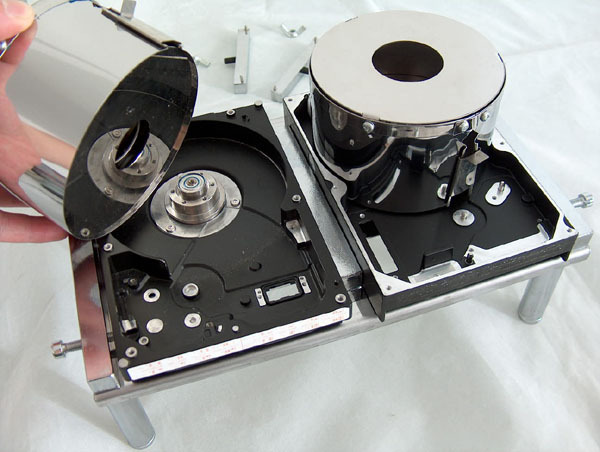 As a data recovery engineer it is always best to repair the Original electronics of a failed hard disk drive. 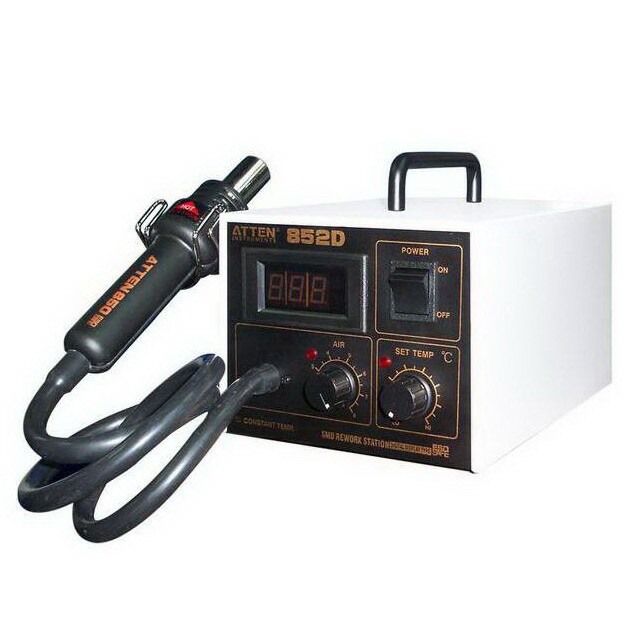 That way you get maximum results with very little risk, Most high end data recovery companies have the expertise to replace many, if not all components on the PCB.. but not only physically but replacement, but this may also involve new components and reprogramming. 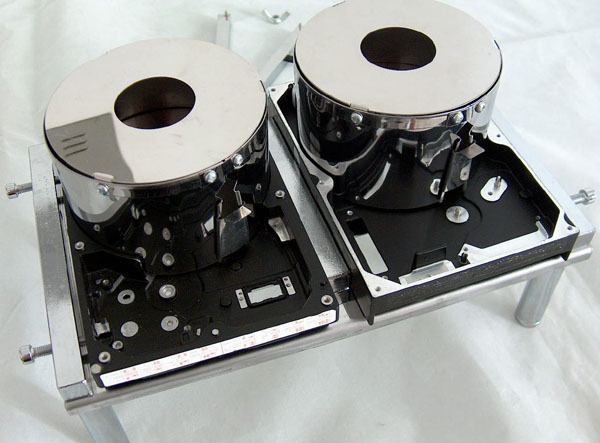 What is Hard Drive PCB? 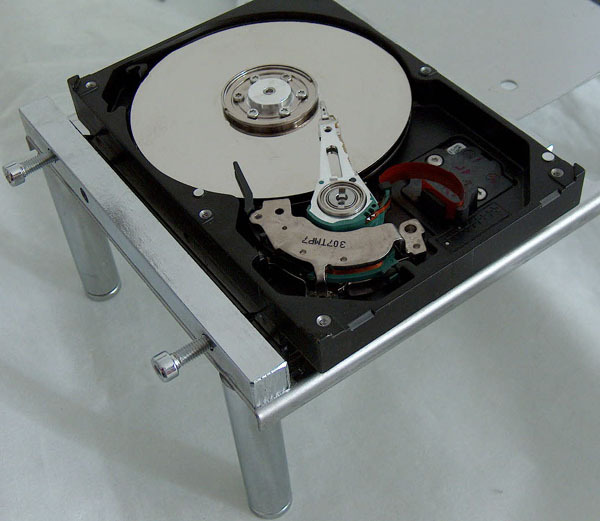 The green board on the bottom of the hard drive is known as Printed Circuit Board(PCB). 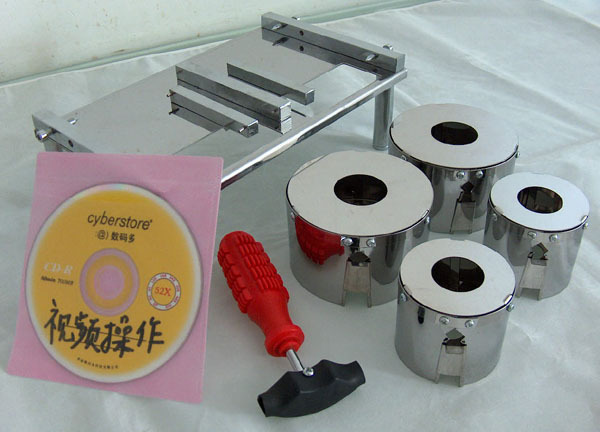 The main function of the PCB is to supply power to the hard drive, maintain speed and rotation of the spindle, and control all internal operations through its firmware. 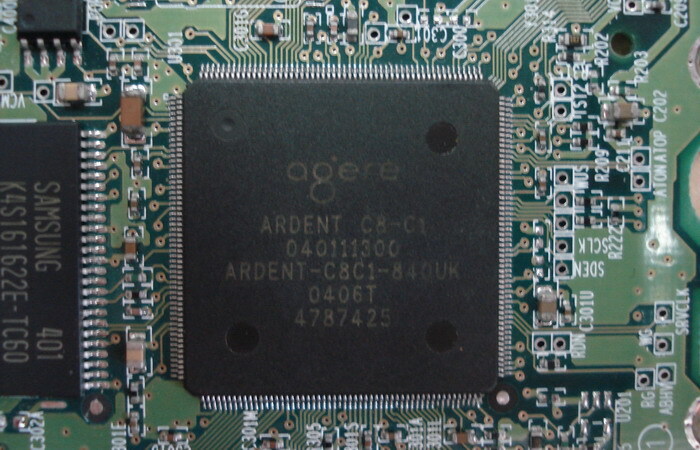 Essentially, PCB is the brains of the hard drive that all components are heavily dependent upon. Why Swap Hard Drive PCB? 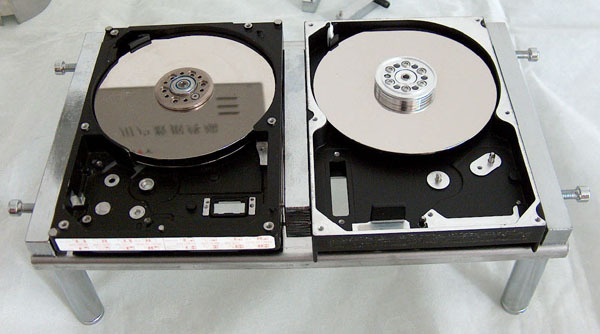 Hard drives that do not spin up after the power has been supplied can be diagnosed as PCB failure. 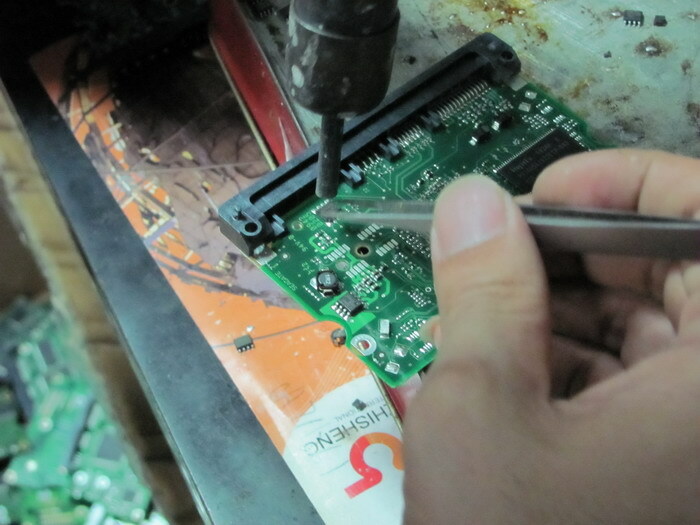 Because data recovery service is very expensive, sometimes we would prefer to swap PCB ourselves. How to find the matching Hard Drive PCB boards? 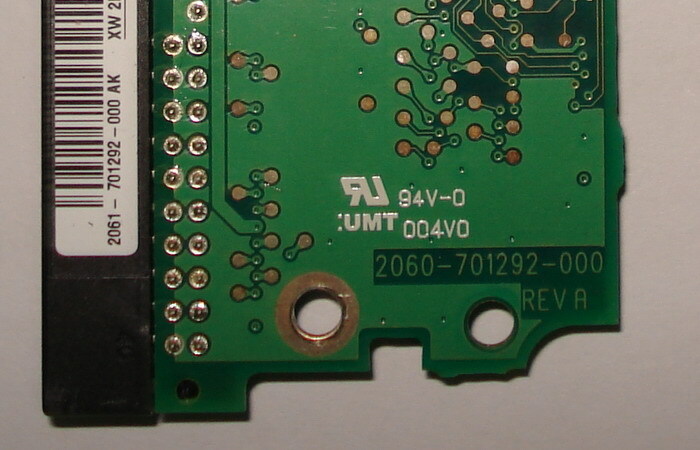 • Western Digital - same board number which is etched on the PCB, begin with 2060-, for example 2060-701292-002. 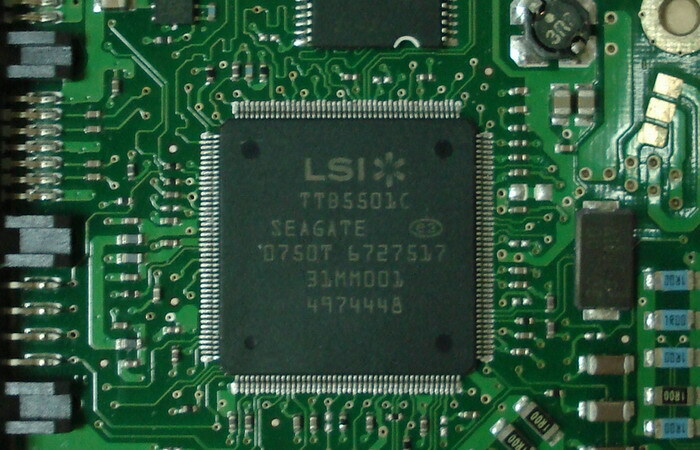 • Seagate - same board number which is etched on the PCB, begin with 100…, for example 100466725, and the same Main Controller IC. If you can’t find the number on the PCB (Old Models), you should find the same Main Controller IC. 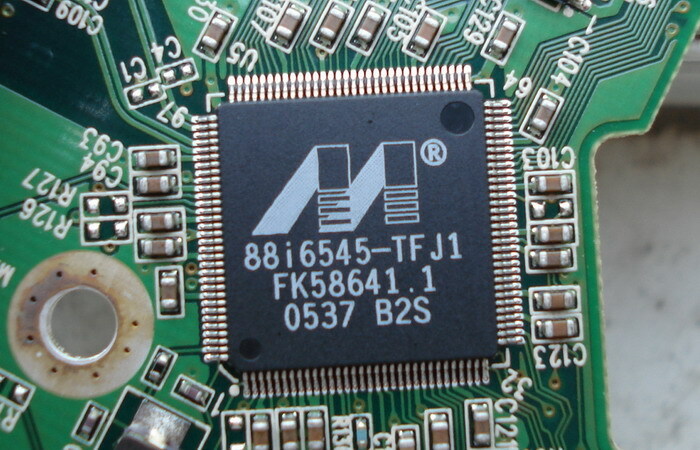 • Maxtor – same Main Controller IC(The biggest chip on the board), for example 040111300. 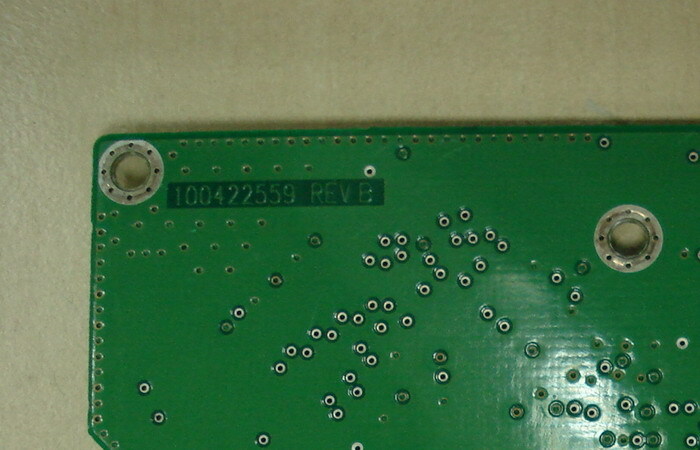 • Samsung - same board number which is etched on the PCB, begin with BF41-, for example BF41-00303A. 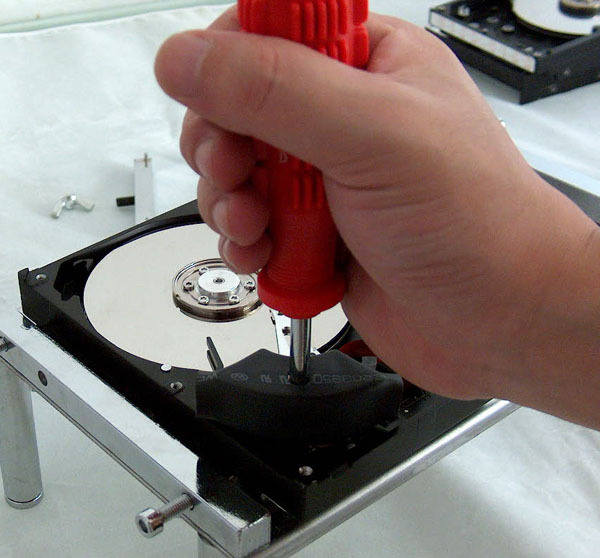 Remove the PCB from both hard drives with star screwdriver. 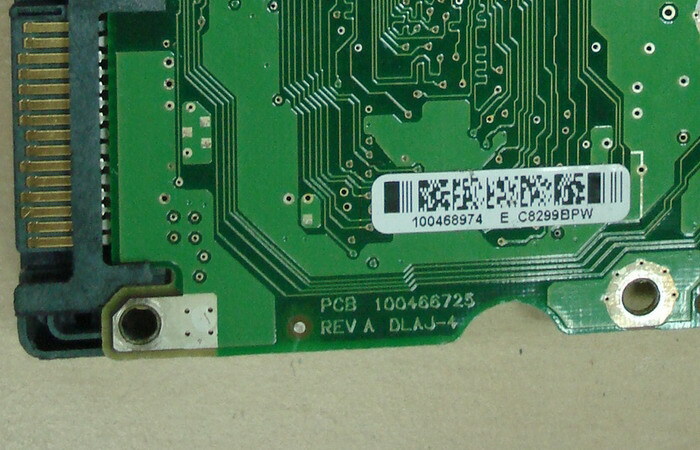 Replace the damaged PCB with replacement one. If you HDD spins up, but can’t be recognized, you should also exchange the BIOS chip on it. 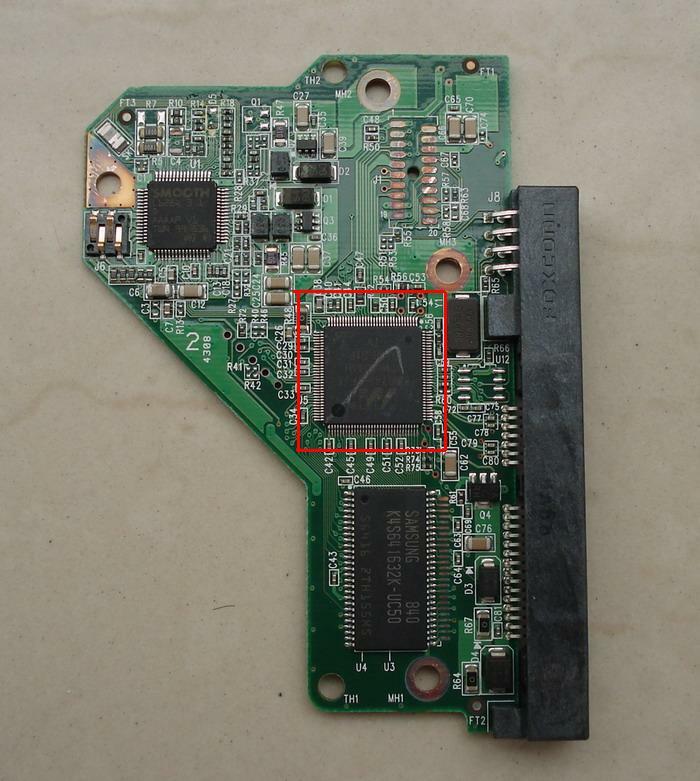 If there is no matching 8pins BIOS chip on the PCB, it means the BIOS chip is integrated on the Main Chip IC, then you should remove the damaged PCB’s Main Chip IC to the donor PCB. 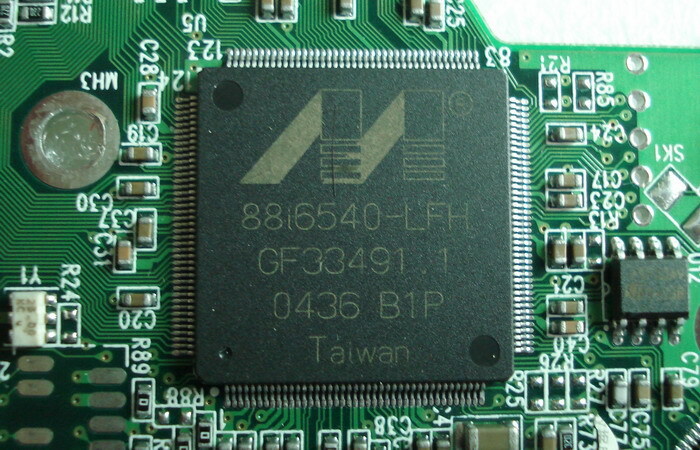 It is more complex to exchange the Main Chip IC than exchange the BIOS chip. If you should do, please do several test on the PCBs which don’t have the important data. What is PCB’s BIOS(ROM) Chip? All of the 8pins (4 pins on each sides) with 25P05VP, 25P10VP, 25F512, 25F1024, 25F1024AN, SST25VF512, SST25VF010, etc. are the BIOS chip. 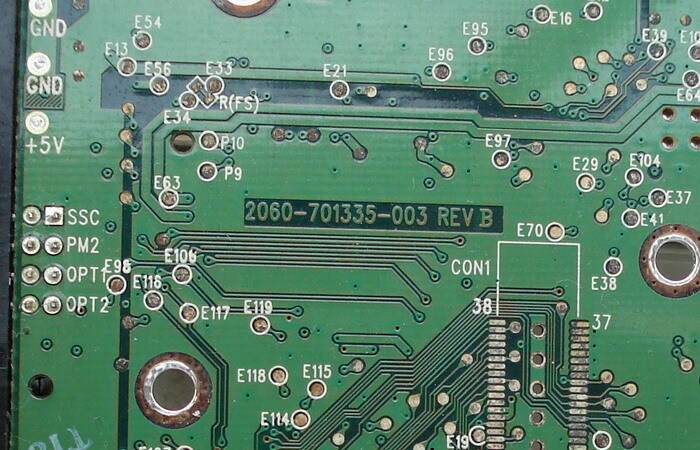 It is easy to be found because there are not many 8pins chips on the PCB. In most cases, you should exchange the BIOS before you swap hard drive pcb. You should have certain technique and tools. Where to buy hard drive pcb online? There are many great PCB online stores sell all kinds of PCB for your data recovery needs! Such as http://www.drivestar.biz. We provide all kinds of PCB: Seagate, Western Digital, Maxtor, Samsung, IBM, Hitachi and Fujitsu. Always help you to find the marching PCB for your hard drive. 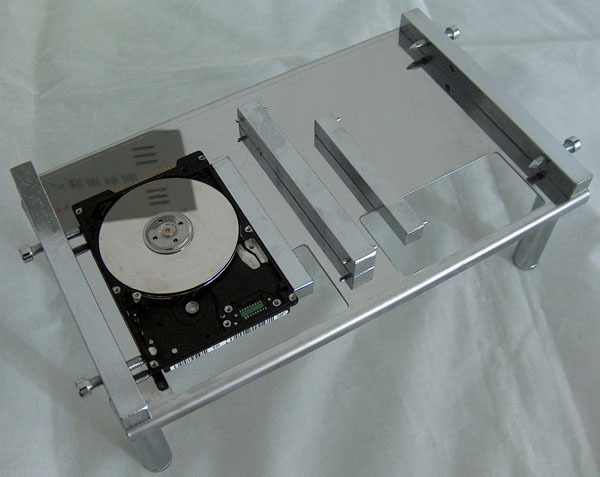 Note: You should know the hard drive failures are not always caused by PCB failure, swap PCB can’t guarantee to fix all of the hard drive problems.If the hdd pcb is damaged or burnt, need to replace it with the same model of pcb to make the hdd work. 1. For WD hdd, need to check the number on the pcb and the main chip. 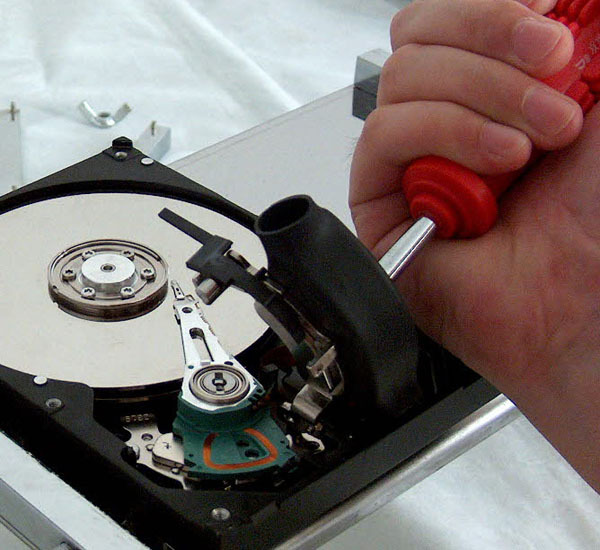 For WD hdd, the ROM chip stores the firmware of the hdd (firmware for hdd is like operating system for computer), you need to change the ROM chip from original board to the replacement board, in order to make the replacement board compatible with your HDD. For some new models of WD pcb (ROYL Series), it has no independent ROM chip, the firmware is inside the main chip, need some tools to read it from the original pcb and write to the replacement board, or swap the main chip. 2. For Maxtor hdd, need to check the number of main chip. Most Maxtor hdd no need to replace the ROM chip, some needs. 3. 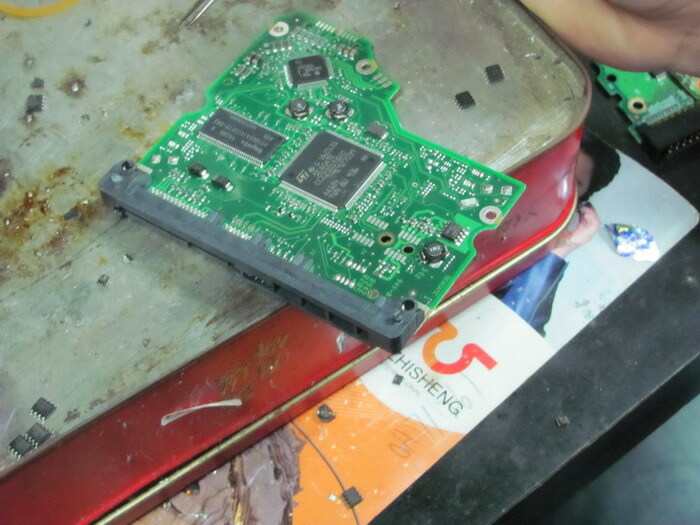 For Seagate hdd, need to check the board number of pcb and main chip. For Seagate hdd, also need to replace the ROM chip on pcb. 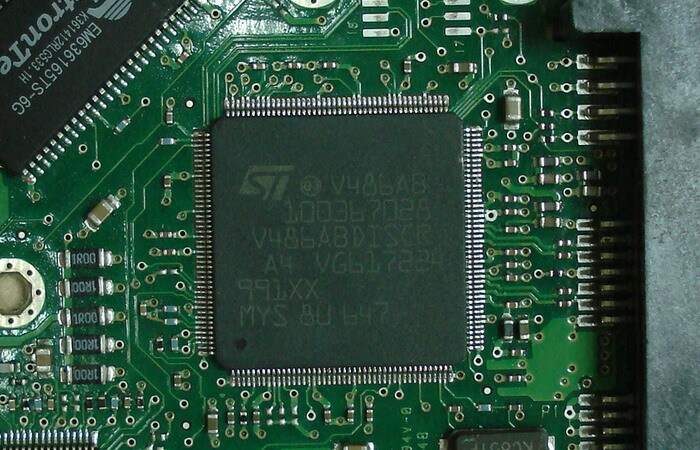 Some models of pcb have no ROM chip, the firmware is stored in the main chip. 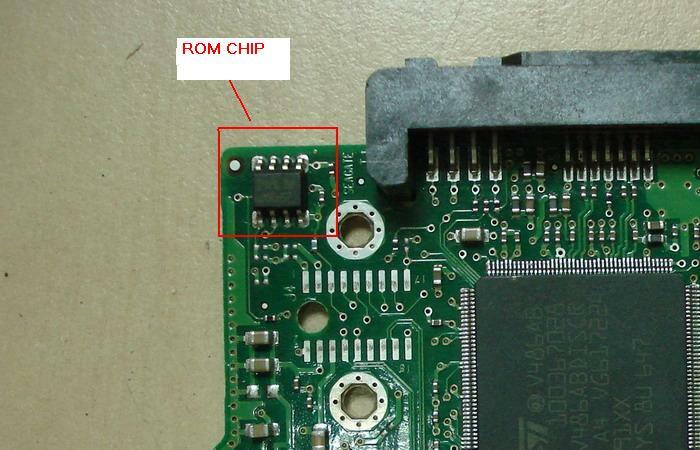 Use hot air rework station to remove the ROM (BIOS) chip from the original pcb. The ROM (BIOS) chip is removed. Solder the ROM (BIOS) chip on the Replacement pcb. 5, the computer cannot boot. 4, the initialization is very slowly or pending after start the computer.